Bloom is taking action to protect the children as a Darkness to Light “Partner in Prevention” organization. 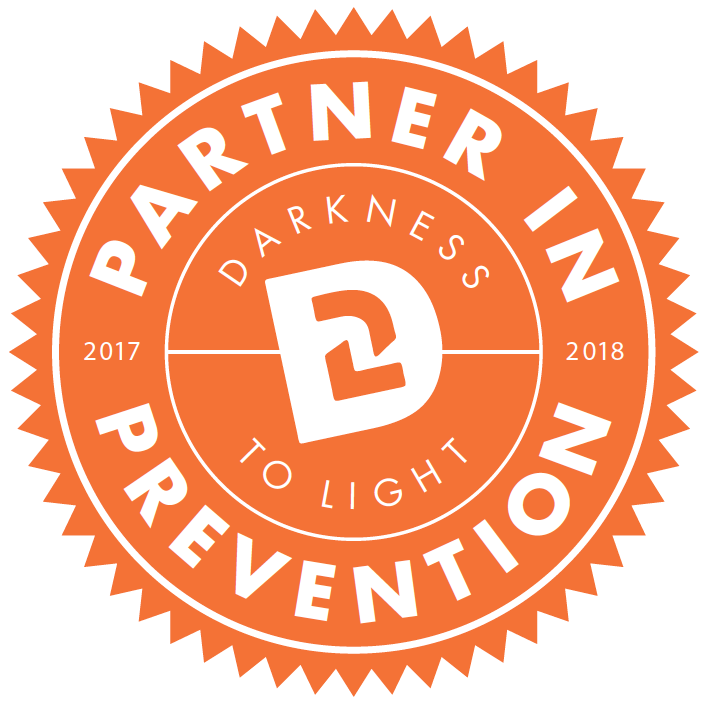 Recently, Bloom achieved “Partner in Prevention” status, a designation awarded by the nonprofit Darkness to Light to organizations which take extra steps to protect the children they serve by training staff to understand the issue of child sexual abuse, identify unsafe situations and practices, and react responsibly in the best interest of the children they serve. One in 10 children will be sexually abused before the age of 18. Bloom has earned the “Partner in Prevention” designation by providing Stewards of Children training to over 90% of its management, staff, and volunteers. This evidence-informed program is scientifically proven to help participants prevent and respond to child sexual abuse. “Partner in Prevention” was created as a national standard to help parents and caregivers recognize organizations that take child protection seriously by implementing policy and training staff to prevent child sexual abuse. Darkness to Light is an international organization that leads the movement to end child sexual abuse by educating and empowering adults in education, youth serving organizations, and communities to protect children. Darkness to Light has affiliates in all 50 states and 16 international locations. Darkness to Light (D2L) has championed the movement to end child sexual abuse since its founding in 2000. With affiliates in all 50 U.S. states and 16 additional countries, D2L provides individuals, organizations, and communities with the tools to protect children from sexual abuse. To date, the D2L network of 9,000 authorized facilitators has trained over 1.2 million parents, youth serving professionals, and organization volunteers in D2L’s award-winning Stewards of Children® child sexual abuse prevention program.